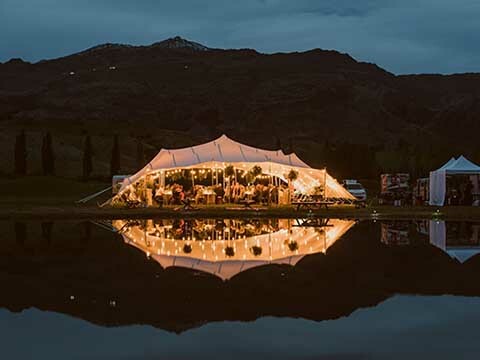 Stretch Tents Coromandel is part of Peninsula Party Hire, a family based business located in Whitianga on the Coromandel Peninsula, New Zealand. Having lived, worked and holidayed on the Peninsula for many years, we have explored all the region has to boast – beaches, bush, islands and communities – we are always keen to promote the Coromandel as an ideal location for all types of events. We consider ourselves fortunate to own and operate a business that allows us to help you realise your dreams for the perfect wedding, party or event. We love the challenge of creating just the right atmosphere and setting for you – whether small and intimate, large and dramatic or anywhere in-between. We look forward to helping you. Give your wedding that intimate and special touch by having it at a place that is special to you. Whether it is at home or at the bach, with the flexibility of a Stretch Tent we can give you protection from the elements at a location of your choice. Looking for that special location? We are fortunate to erect our Stretch Tents on some of the most stunning locations in The Coromandel. 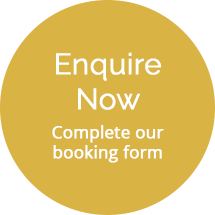 Talk to us about your vision – or visit Peninsula Party Hire Wedding Locations tab for some inspiration. “Four seasons in one day” a common term often used on the Peninsula. Stretch Tents are very versatile and can be configured to make the best of all weather conditions. We can make out tents cosy and snug inside so you and your guests don’t need to worry about what the weather is doing outside. Alternatively if the weather is warm and sunny we can open up the tent to maximise the views, air flow and ambience. 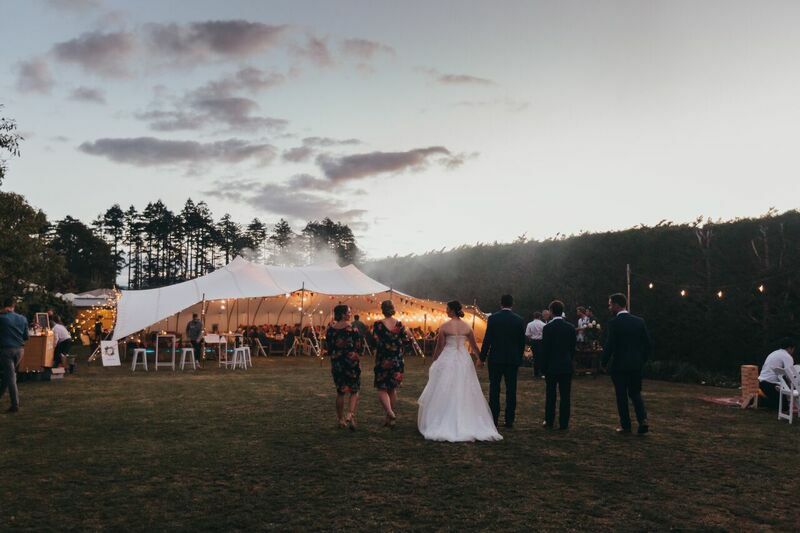 Us kiwis love the great outdoors regardless of the event, so don’t let the weather put you off holding your wedding or event under a Stretch Tent. We are here to help you with everything you’re likely to need to stage a successful event. We make it easy for you – from furniture, lighting, glassware, wedding arches, dancefloors, heating, PA Systems, bars and even ‘VINNIE’ the bar caravan we’ve got it covered! Visit Peninsula Party Hire to view all our options. We welcome you to visit us to discuss your requirements and view the products up close. 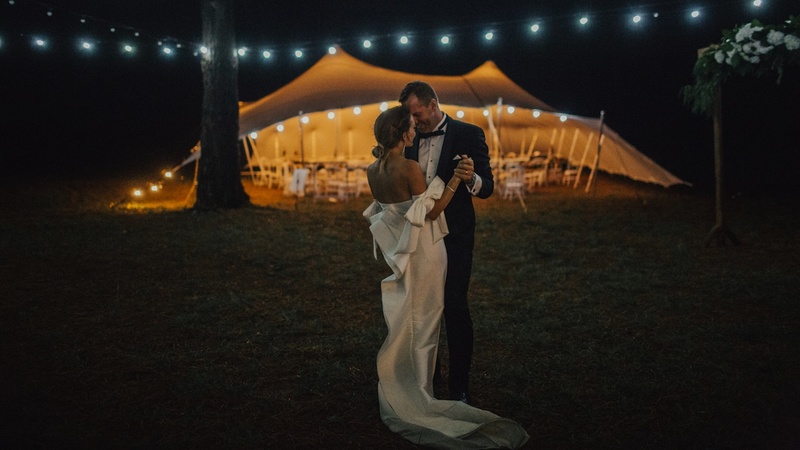 At Stretch Tents Coromandel we have a variety of wedding hire packages designed to make staging your event easier than ever. We have a variety of Package Deals to suit your needs. Each package can be customised to suit your individual requirements. 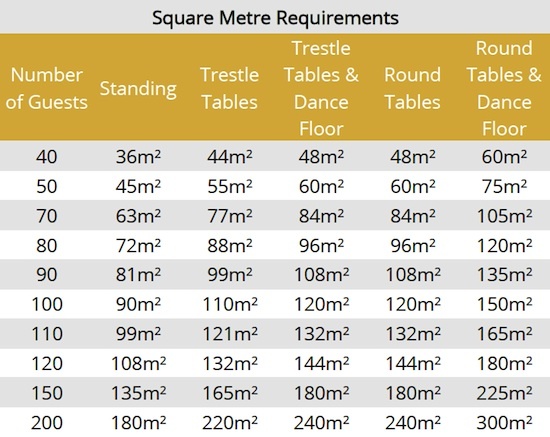 The tent sizes we have used are the most common sizes used for the wedding party numbers – if these tent sizes don’t fit your space we may be able to use different sizes joined together to accommodate your area. We have an extensive range of Stretch Tents for hire and our tents can also be joined to cover awkward spaces. 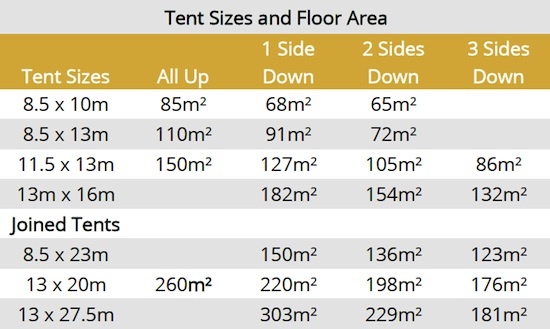 Below is a size and capacity chart to help you plan your event and for further information on how big your stretch tents needs to be you can download our brochure here. To ensure you choose the correct size we do recommend consultation with one of our team. SAVE 20 % on any Stretch Tent or package with an event date between May 1st 2018 and September 31st 2018 . Click on the Enquire Now button and mention the offer you are interested in. Only one special per order applies and they are only valid to new clients not current orders. If you are claiming a Facebook offer, please enter your claim code on your enquiry form. 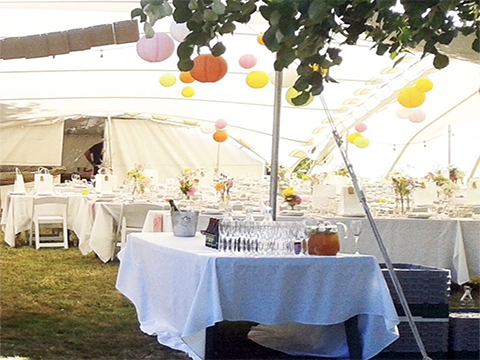 “We hired a marquee and glassware from these guys for our wedding in the Coromandel. They were super helpful leading up to the day. We were trying to organise everything from home in Australia which was tricky but they were really accommodating. Richard even went out of his way to source and collect a PA System for us. 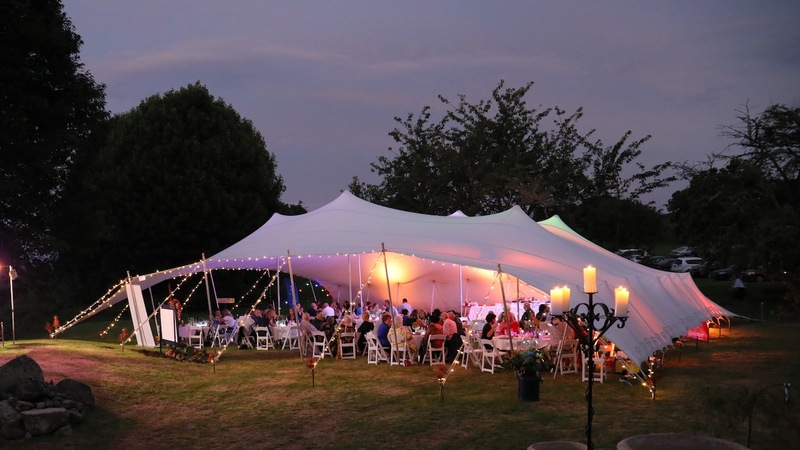 Their team was prompt and professional, the marquee was perfect and looked great on the day. I will definitely hire from them again next time I get married…..Just joking.